Cliftonville Football Club’s Shirt Sponsorship scheme was launched last month – but there’s still time to get involved and secure your favourite player’s matchworn jersey at the end of the season. 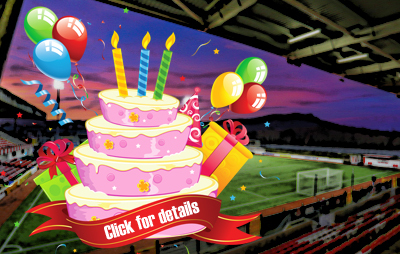 With all shirts offered on a first come, first served basis, fans can get their hands on a specific top for £85, or secure two (one home and one away) for the special rate of £150, with all sponsors listed both here on cliftonvillefc.net and in our Matchday Magazine, The Red Eye, throughout the season in recognition and appreciation of your valuable support. 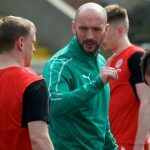 Cliftonville welcomed six new signings this summer with Richard Brush (1), Ryan Curran (9), Daniel White (12), Thomas Maguire (23), Conor McMenamin (24) and Damien McNulty (37) joined in the first-team squad by Strollers and Olympic graduate Caoimhin McConnell (18). 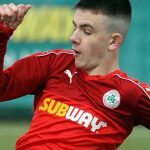 Elsewhere in the panel, Rory Donnelly (11) and Conor McDonald (14) have been allocated new numbers and if you would like to guarantee their, or anyone else’s, shirt, you can do so at The Reds Shop, by emailing shirtsponsorship@cliftonvillefc.net or by speaking to representatives at next Tuesday’s County Antrim Shield encounter with Linfield, however supporters are advised that specific jerseys can only be secured upon full payment.